Relay for Life Weekend starts today! Today, at 10am, the fantastic weekend of events that marks the climax of the 2014 season starts. Relay For Life is the signature event of the American Cancer Society and has been active, and continually growing, now in Second Life for 10 years. In 2005, the first Relay For Life of Second Life (RFL of SL) was attended by a few hundred avatars and raised almost $5,000 US dollars for the American Cancer Society. In 2009 the Relay For Life of Second Life raised over $270,000. US dollars and was attended by thousands of avatars. In 2011 the Relay For Life of Second Life raised over US$375,000 and ran right past the US$1,000,000 mark during the 2011 campaign! In 2012 the Relay For Life of Second Life raised over US$375,000, taking the total raised since 2005 to over US$1,600,000 by the end of our 2012 fundraising season. 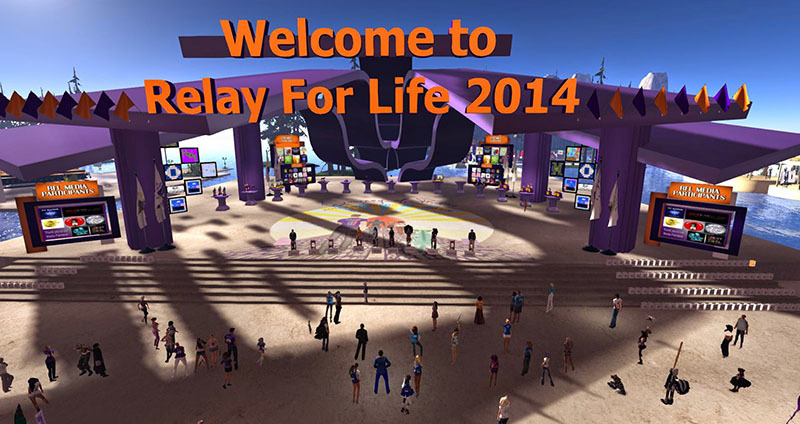 And in 2013, Relay for Life of Second Life, in a thrilling climax to the Relay weekend, crossed the 2,000,000 mark! This year the plan is to raise US$401,000 – i.e. 401K. That figure represents a huge task – we started the weekend at 382,000. The significance of the number is that 401 is the tax form that mark retirement in the United States – the plan is to RETIRE CANCER! The American Cancer Society’s Relay For Life is a life-changing event that gives everyone in communities across the globe (and in Second Life) a chance to celebrate the lives of people who have battled cancer, to remember loved ones lost, and to fight back against the disease. 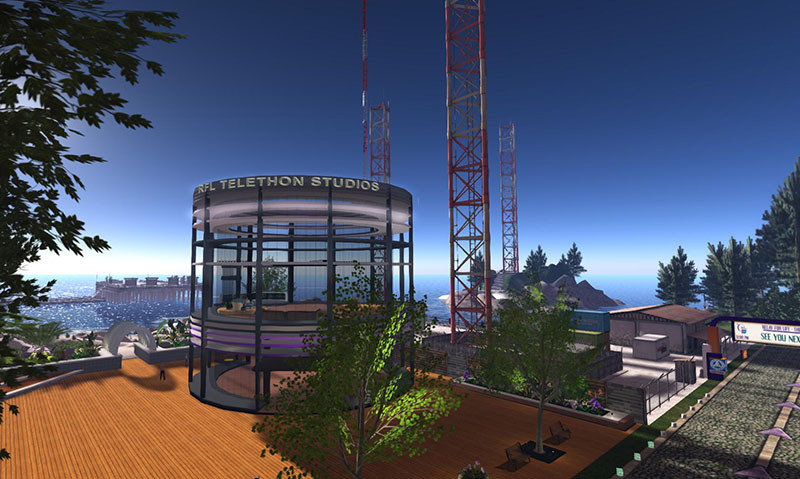 And the TV channels of Second Life are coming together to produce a twenty-four telethon to cover this event, which you can watch on slartist.com. The Telethon is covering the 24 hours of Relay. Live coverage is from 9am – 10pm (including the Luminaria ceremony at 9pm) on Saturday 19th, and from 6.00am till 11am on Sunday 20th, plus on Saturday. During that time, we’ll bring you news of the Relay from our studio – with information about all the events that are going on, together with trackside interviews with teams and sim designers. And when we’re not live, we’ll be showing interviews with Chairs from the RFL Committee, classic clips from RFL history, and TV shows from Treet TV that have featured Relay for Life. Next Post: Designing Worlds discusses how to maintain Second Life as Linden Lab works on a new platform: Part 1 – now on the web!